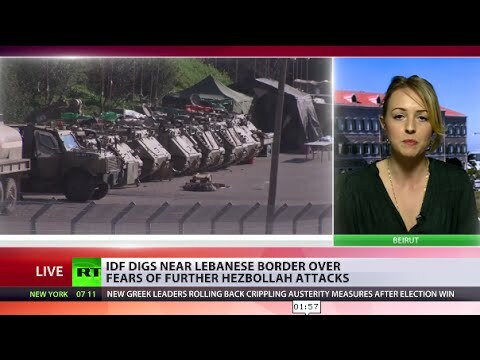 Israel and Lebanon: Is a 3rd War in the Offing? On January 18, 2015 an Israeli military operation lead to the death of Jihad Mughniyah in Quneitra, in the Syrian part of the Golan Heights. According to a retired Israeli general, the timing of the operation that led to the death of Jihad Mugniyah, several other Hizbullah Operatives and an Iranian general of the Iranian Revolutionary Guard Corps (IRGC), is linked to upcoming elections in Israel. The retired general also insinuated that an assassination in 2012 of a Hamas leader was similarly motivated. These allegations were denied by government officials in Israel, yet historical precedent seems to support the idea that Netanyahu is engaging in warmongering in an effort to shore up his popularity. While Netanyahu is not likely to launch large scale retaliatory operations against Hizbullah in the near future, especially on the scale of 2006 war, we can expect his further actions to be motivated by his electoral ambitions and a desire to draw attention away from wife’s current financial scandal. His decision to go to war will also be further governed by practical considerations arising from Nasrallah’s changing of the rules of the game. Indeed in a speech on January 30th commemorating the “martyrs” of the Quneitra operation, Hizbullah’s secretary general threatened Israeli interests worldwide, therefore moving operations outside occupied areas. Should Lieberman acquire more power in the next Israeli government following the upcoming March elections, we should certainly gird our loins for a major Israeli operation in summer 2015, a year before the 10th anniversary of what Hizbullah calls its “Divine Victory,” an admitted “failure” that Israeli politicians Israeli politicians feel the need eventually to erase from collective memory in their country.